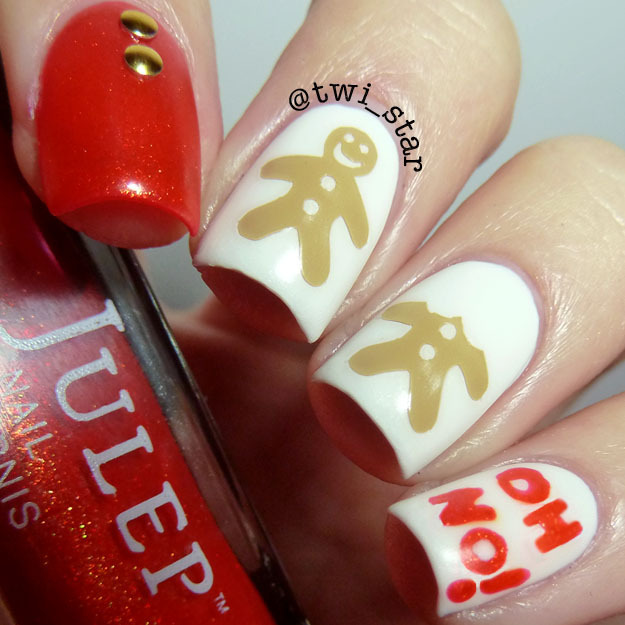 twi-star | Nail Art Blog: Julep Christina and Vinyl It Up Gingerbread nail vinyls! Julep Christina and Vinyl It Up Gingerbread nail vinyls! I'm not really crazy about snow but that doesn't mean I can't enjoy some fun Christmas themed manis! 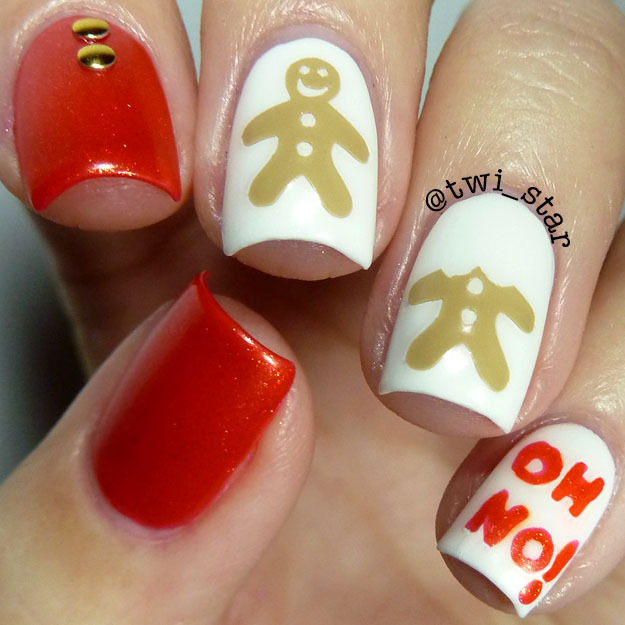 Check out these crazy adorable gingerbread man nail vinyls from Vinyl It Up. The red is Julep Christina, it's more of a sparkling persimmon. Really pretty for Holiday manis! A little sheer so I used 3 coats. The white is Julep Kate, in person it has very subtle silver shimmer. 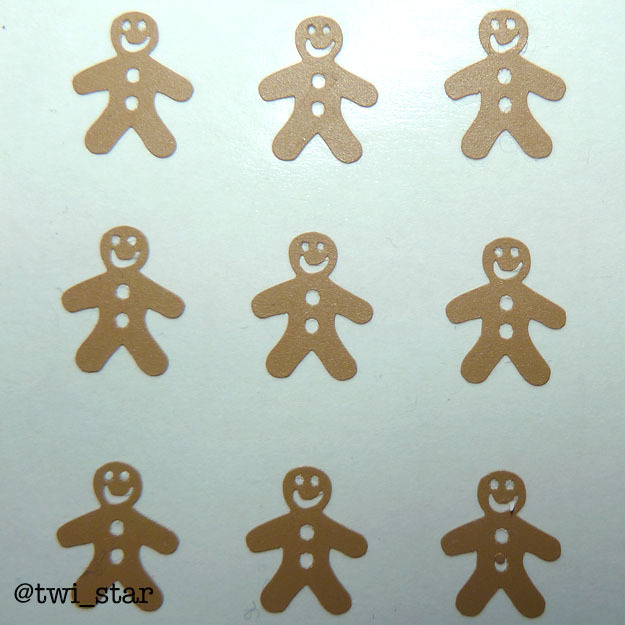 The gingerbread decals! I couldn't help but cut the head off of one, poor Gingy! Not my gumdrop buttons! LOL That's my fav Shrek line.